Save the Date!!! April 30 - May 6, 2020. The Gullah are a distinctive group of Black Americans from Coastal South Carolina and Coastal Georgia in the southeastern United States. They live in small farming and fishing communities along the Atlantic coastal plain and on the chain of Sea Islands which runs parallel to the coast. 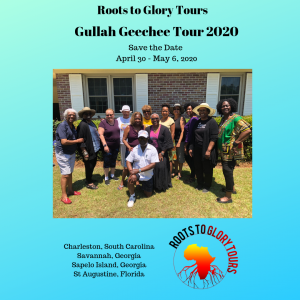 Because of their geographical isolation and strong community life, the Gullah have been able to preserve more of their African cultural heritage than any other group of Black Americans. They speak a creole language similar to Sierra Leone Krio, use African names, tell African folktales, make African-style handicrafts such as baskets and carved walking sticks, and enjoy a rich cuisine based primarily on rice. The Gullah people are directly descended from the enslaves who labored on the rice plantations, and their language reflects significant influences from Sierra Leone, Congo and Senegambia. The Gullahs' English- based creole language is strikingly similar to Sierra Leone Krio and contains such identical expressions as bigyai (greedy), pantap (on top of), ohltu (both), tif (steal), yeys (ear) and swit (delicious). 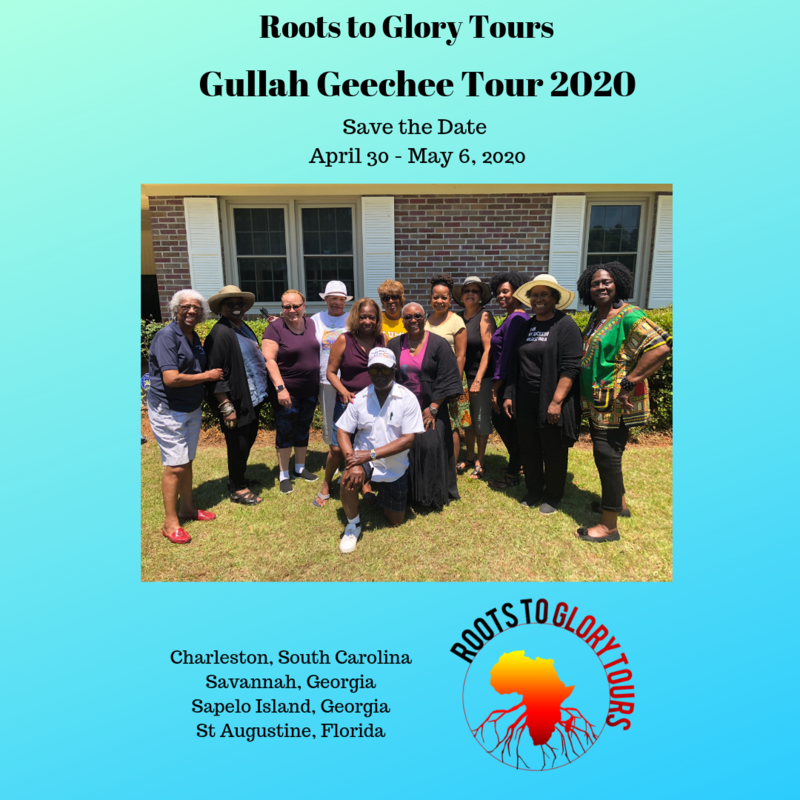 DAY 1: (Tour Begins at 12:00pm in Charleston, South Carolina) Tour of North Charleston including the McCloud Plantation and Sullivans Island considered the Ellis Island of slavery. A deposit of $300 is due at the time of registration. The registration fee is refundable within 30 days of deposit only. The balance of $1200 is due by January 30, 2020. Payments can be made using Paypal with a 3% fee or sending a money order or check to Roots to Glory Tours P.O. Box 92, Stevenson, Maryland 21153. This tour is for maximum of 10 people. Once the maximum number has been reached, we will close the registration.